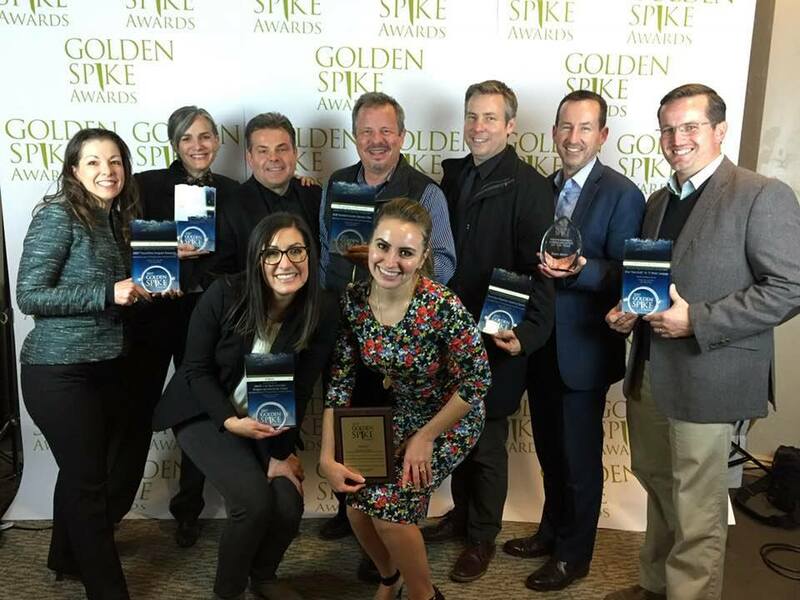 Penna Powers took home some serious hardware at the 30th annual Golden Spike Awards Gala on Nov. 16. We earned six Golden Spike awards and one finalist award at the 2017 Golden Spikes in categories ranging from research for governments/non-profits to community relations. Harmons Grocery has been operating in Utah since 1932. What started out as a farmstand has blossomed into a progressive chain of grocery stores committed to quality food, unsurpassed service and community wellbeing. Supporting local vendors has always been at the forefront of Harmons mission, in fact, Harmons has been an integral cog in helping many local businesses get started. Over 2,300 products sold in Harmons are local items. 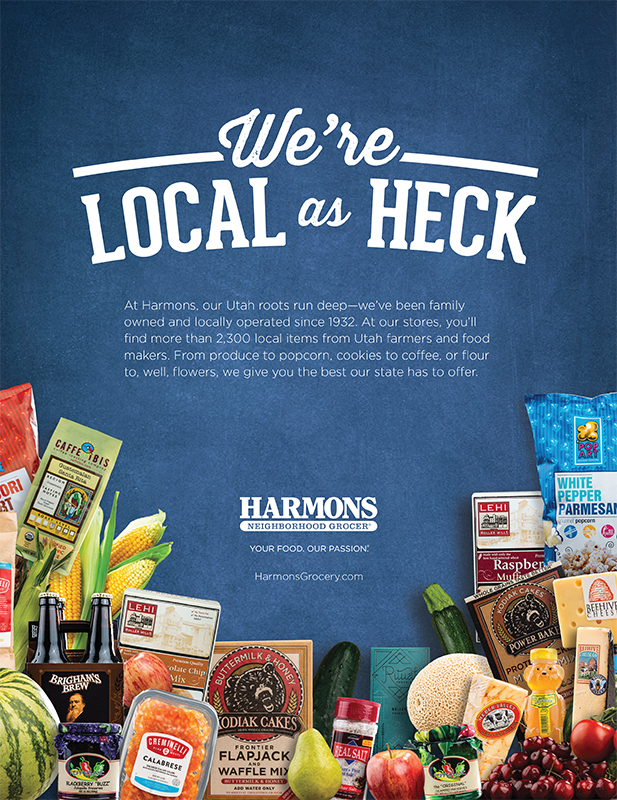 With this in mind, Harmons asked Penna Powers to develop print ads with an emphasis on local. The ads featuring local products and produce were placed in various local Utah publications reaching more than 250,000 in readers. UCAIR and Penna Powers have conducted fully-integrated educational campaigns for the past several winters, when Utah’s air quality suffers most. Research in early 2016 showed that Utahns are concerned about air quality, but many believe air quality challenges are beyond their control. However, research participants activated around the issue when presented with the health impacts poor air can have on those they love. Building on this insight, UCAIR and Penna Powers created the “Kidult” campaign, inviting Utahns to “Show Them UCAIR” by changing behaviors to reduce emissions. Utah County is growing rapidly, resulting in commute-time traffic jams. The Utah Department of Transportation planned to expand I-15, but funding wouldn’t arrive until 2020. In 2017, the State Legislature approved a bond to accelerate construction. A public awareness survey showed that only 24 percent of locals knew a project was coming. UDOT developed a video to educate stakeholders on the project and announce the accelerated timeline. The video link was emailed to government and business leaders and promoted on Facebook, Twitter and YouTube to area residents and commuters. In order to establish a baseline around the TravelWise Program, UDOT conducted a general public telephone survey of Wasatch Front residents through Lighthouse Research & Development, Inc. The research included a total of 810 interviews. It was the first time that research of this scale had been done on the TravelWise campaign. It substantiated our belief that the campaign is necessary, surprised us in the level of program awareness, and provided actionable insights that are currently being pursued by the team. With 32 percent of all traffic fatalities caused by alcohol related crashes, Zero Fatalities Iowa identified a need to address impaired driving with residents. In an effort to reduce fatalities, Iowa Zero Fatalities implemented a social awareness campaign during NFL and NCAA sporting seasons targeting men ages 18-49. Event targeting reminded spectators to get a sober ride home after the game. The campaign successfully, reached 59.8 percent of the target audience and helped lift overall Zero Fatalities awareness by two percentage points. The Utah Clean Air Partnership (UCAIR) is a non-profit dedicated to clean air. UCAIR and Penna Powers have conducted fully-integrated educational campaigns for the past several winters, when Utah’s air quality suffers most. Part of the challenge of getting Utahns to engage around air quality is overcoming their general low awareness that what they do does, in fact, make a difference in pollution levels. Many believe nothing can be done about Utah’s poor winter air episodes due to the meteorology and geography of the local airshed. During the 2016-17 winter campaign, we produced an illustrated educational video to attack this issue head-on. To reduce traffic-related deaths between Memorial and Labor Day, Zero Fatalities implemented a multifaceted campaign called the “100 Deadliest Days.” As titled, the campaign focused on educating Utahns about (1) the 100 DD of summer when roadway deaths nearly double in Utah and (2) how to best prevent a traffic-related tragedy during the summer. Not only has the campaign performed exceptionally well in reach, frequency and engagement – As of August 23, there have been 12 less roadway related deaths this summer when compared to this same time last year. The Golden Spike Awards measure effectiveness regarding research, planning, execution, evaluation and project content. A Golden Spike Finalist is awarded to entries that earn at least 80 out of 100 points; the highest scoring entry earns a Golden Spike. The annual competition is sponsored by the Utah Chapters of the Public Relations Society of America, the International Association of Business Communicator and the Utah Society for Healthcare Communication and Marketing. Additionally, President and Managing Partner Dave Smith, APR received the Professional of the Year award. Thank you to our clients for your continued partnership. While we are proud to produce award-winning campaigns, what matters the most is driving meaningful change together.